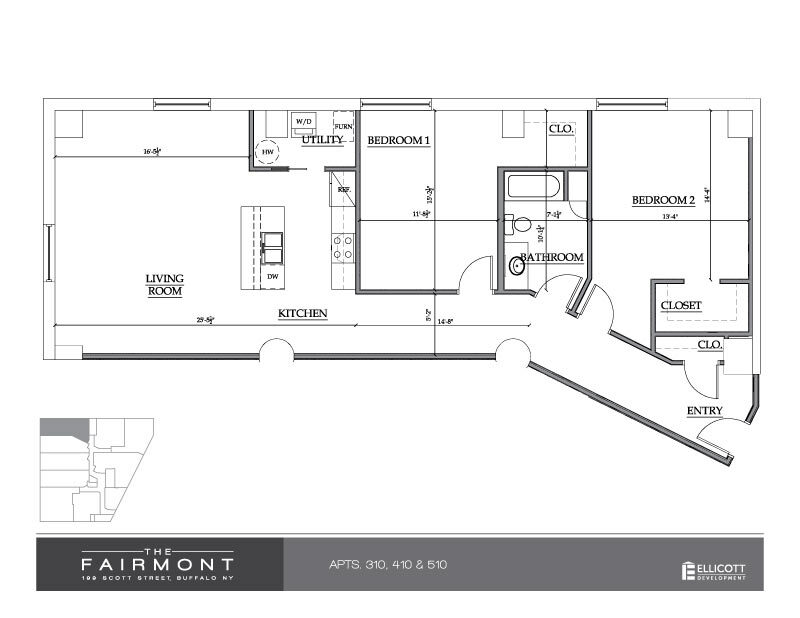 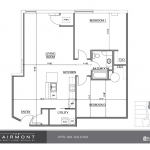 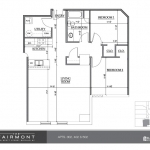 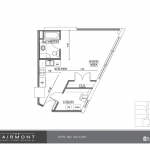 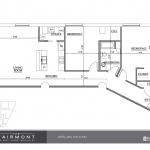 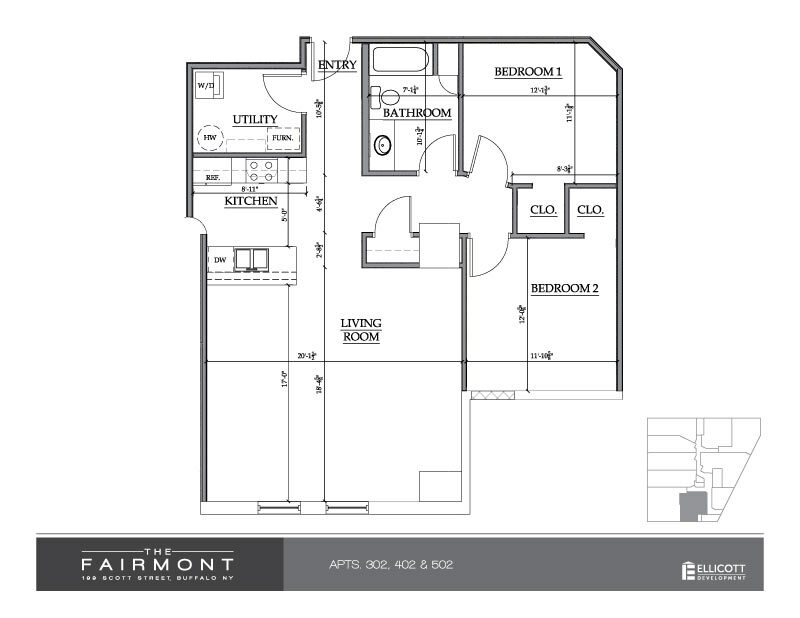 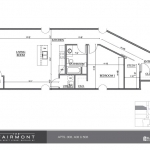 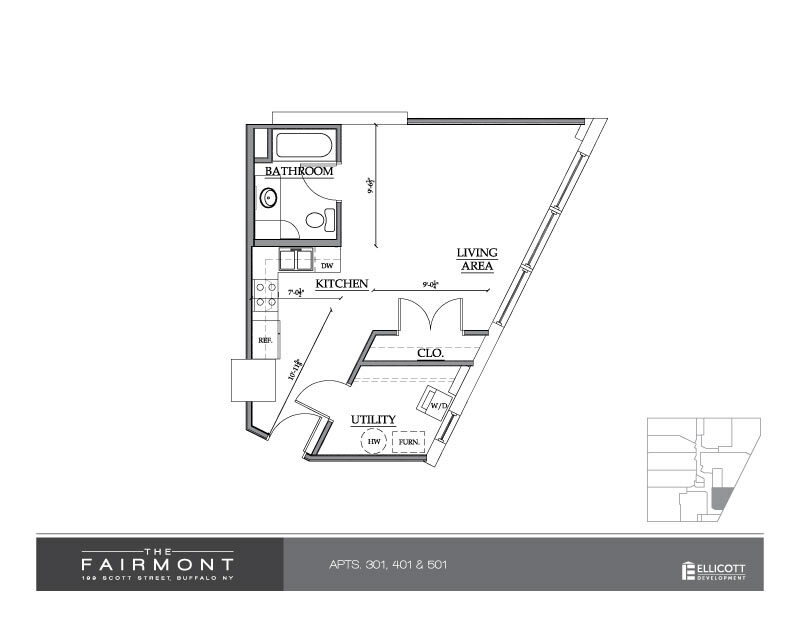 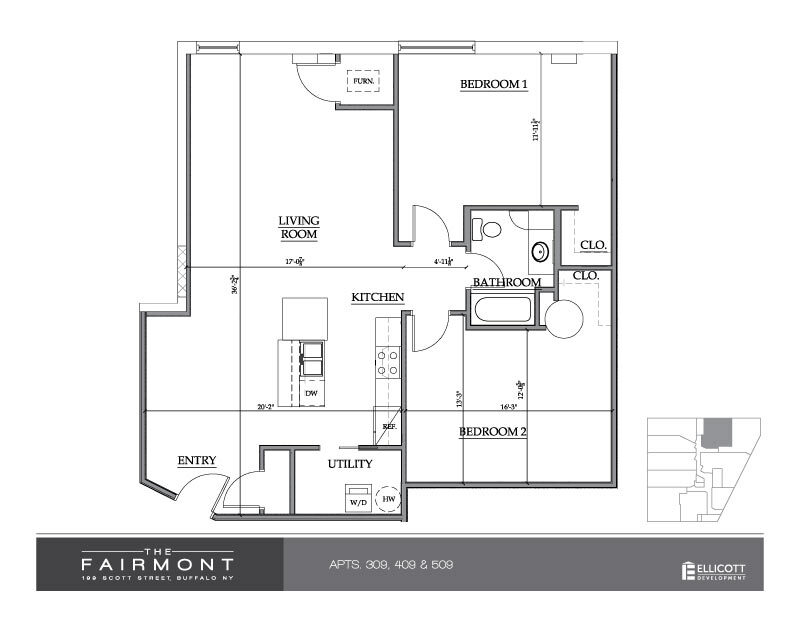 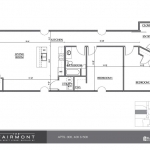 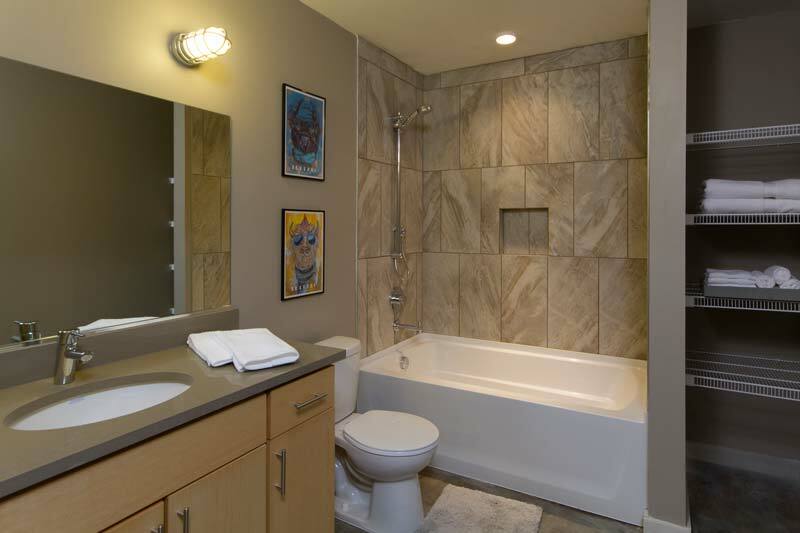 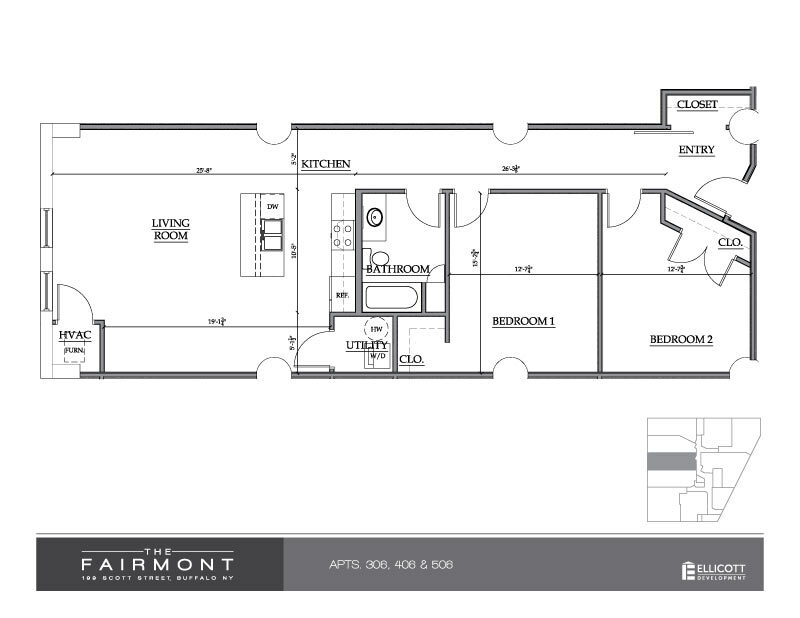 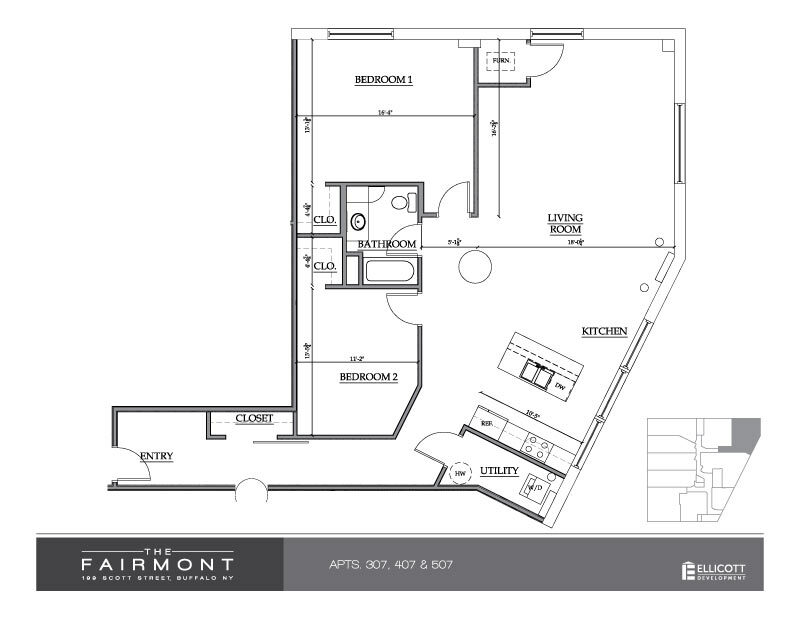 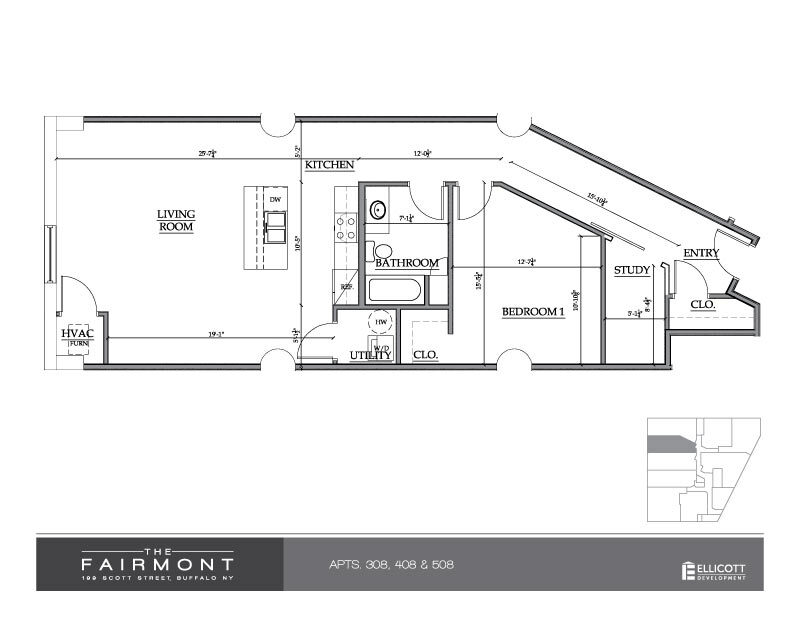 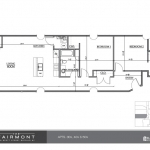 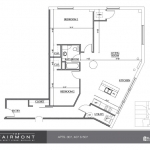 The Fairmont ideally located in downtown Buffalo, near the up and coming Waterfront and Cobblestone districts. 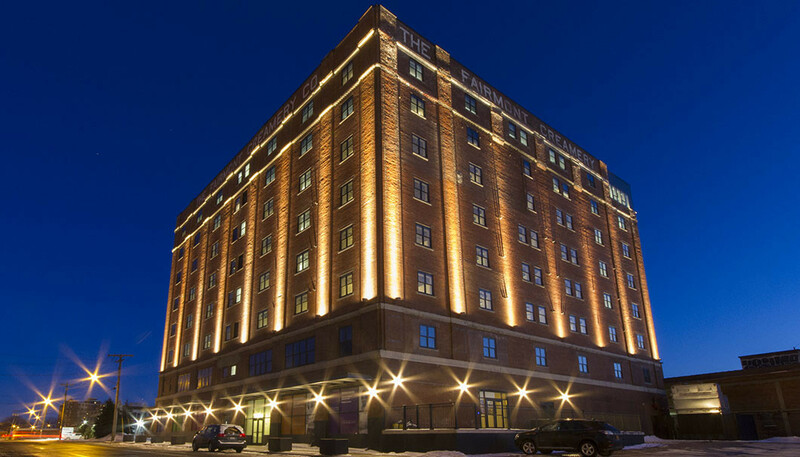 Constructed in 1920, the eight-story structure was originally built for The Fairmont Creamery as a cold storage facility. 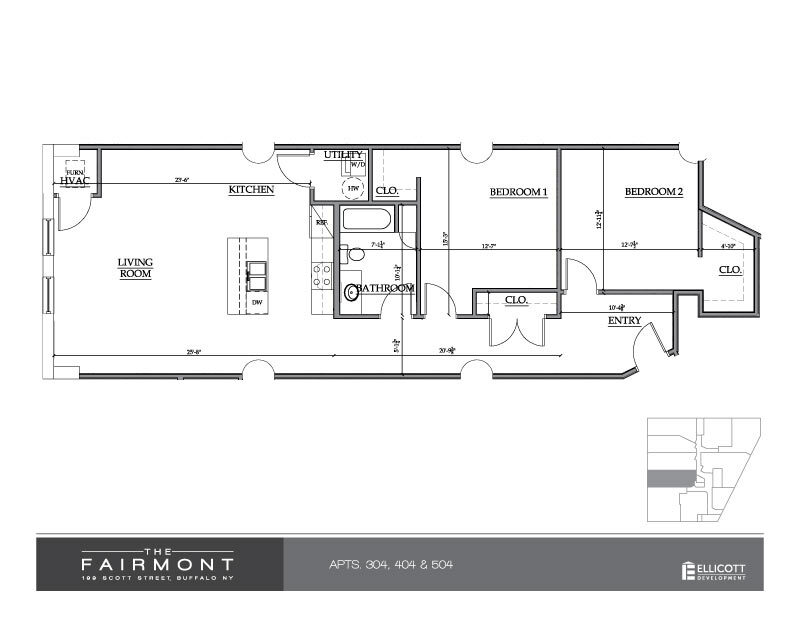 Previous tenants include the Arctic Freezer Company and Rich Products. 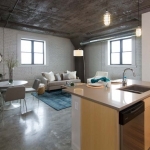 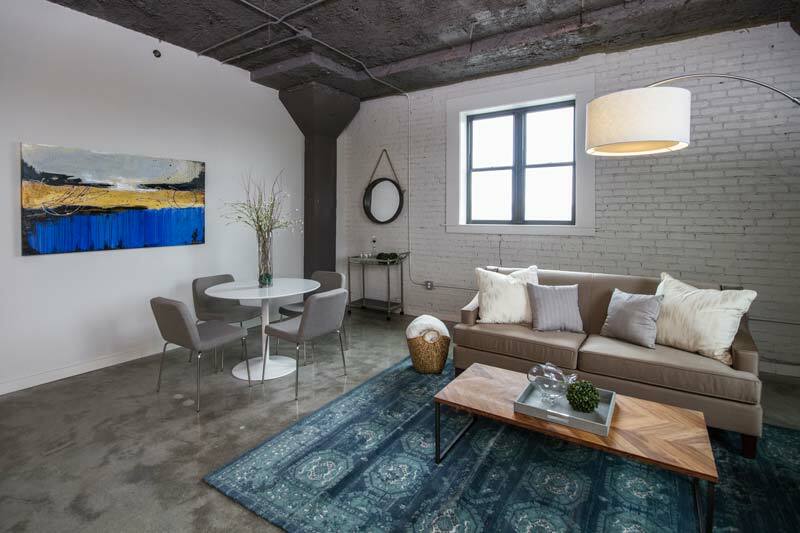 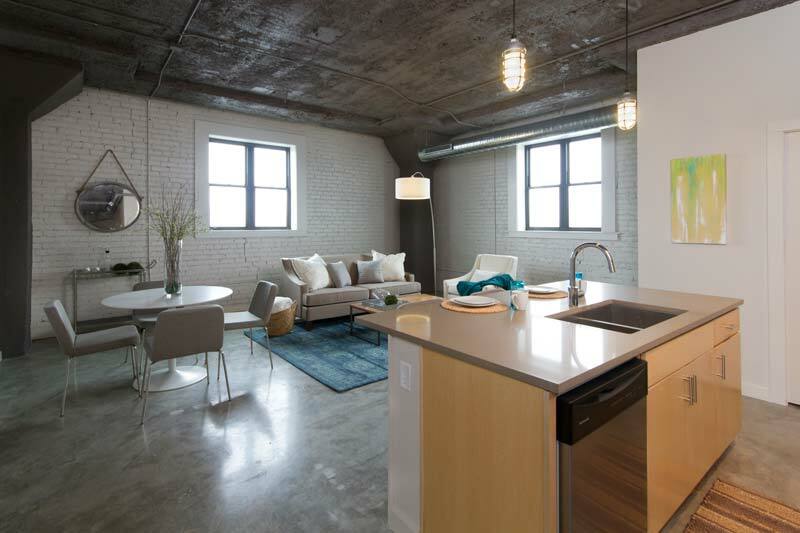 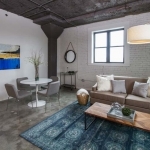 Occupying floors three through five, the residences feature stunning original historic detail with polished concrete floors and exposed brick walls and columns. 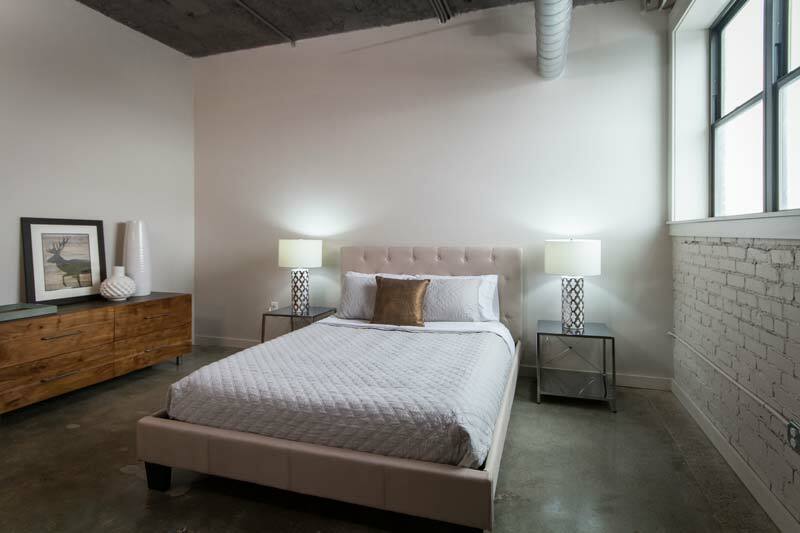 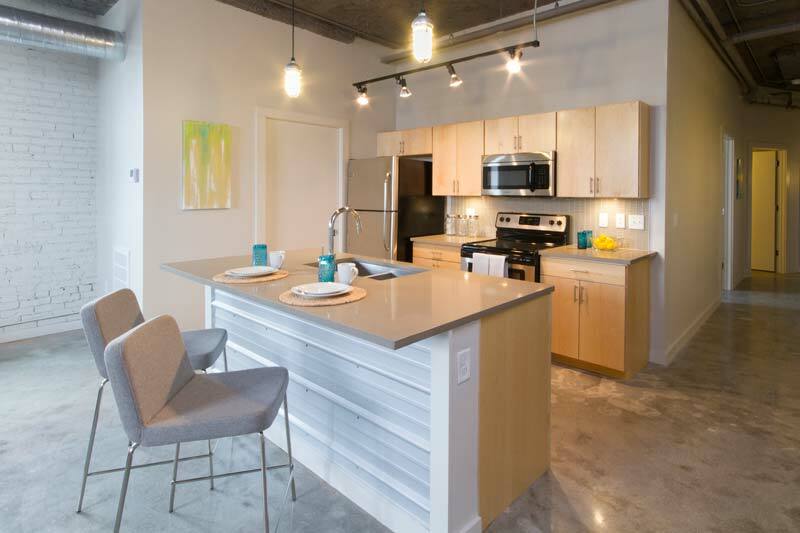 The thirty brand new apartments offer modern upscale finishes with sizes that range from studios to 3-bedroom units. 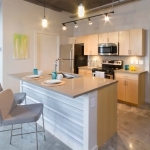 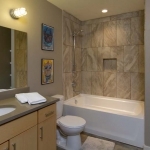 Tenants will enjoy bistro style kitchens with breakfast bars, bright open interior spaces and laundry appliances in each unit, as well as on-site parking.